Less than a generation ago, merely thinking of Vietnam usually evoked memories of conflict, carnage, and deep sadness on all sides. Today, however, you are more likely to think of the over 2,000 miles of pristine beaches and the explosive annual economic growth rate of well over 6 percent currently underway in the country of nearly 100 million people. It even seems to be no surprise that over 1 million tourists entered Vietnam in October 2018 alone, with the total number growing month by month. Looking for your next pristine beach getaway? 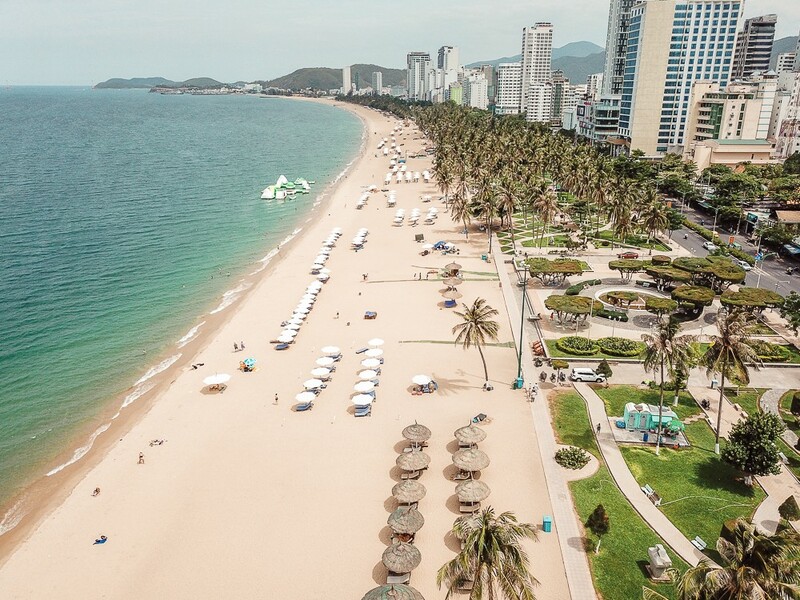 Look no further than Bãi biển Nha Trang, Vietnam! To serve the hordes of eager travelers looking to take in Vietnam’s stunning landscapes and rich cultural heritage, serial start-up entrepreneur Peter J. Burns III has joined forces with Vietnamese-American technology entrepreneurs and brothers Thomas and Lee Johnson of HI-TEK Inc. in their quest to revolutionize travel services in Vietnam and soon across all of Southeast Asia. After years of development, their comprehensive ecosystem of discount travel services has been launched and is well-positioned to become a leader in tourism for the entire country of Vietnam. They have achieved this feat by developing flight and hotel booking engines travel.vn and hotels.vn along with their government-approved e-Visa issuing platform, all wrapped together in a proprietary booking service that offers significant savings on everything from car rentals to live entertainment. One can even pay for the complete travel package with the innovative digital currency HIC, the world’s first integrated blockchain-based utility token, which allows travelers to enjoy an incredible range of services under one simple and standardized payment platform. Starting with Vietnam, HI-TEK Inc.’s goal is to promote tourism in the southeast Asia region and offer the lowest prices for travel services worldwide. Vietnam has a rich cultural heritage. 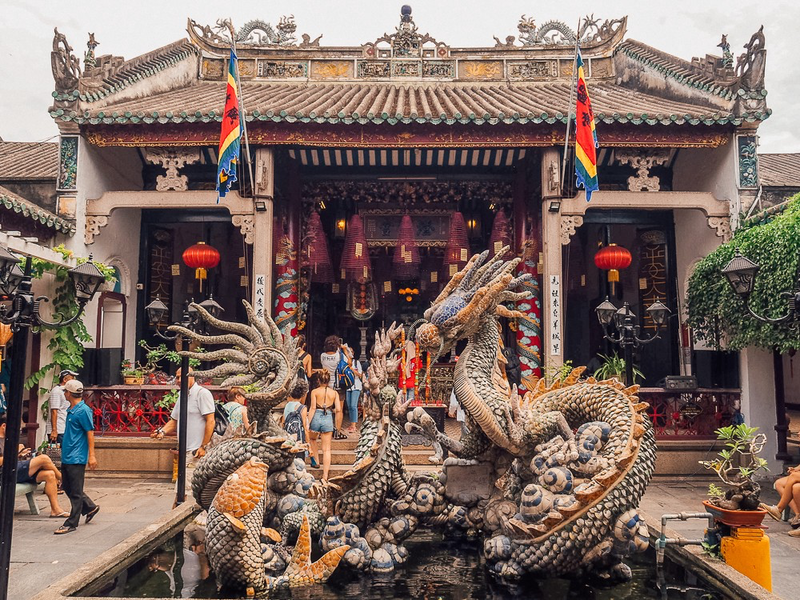 See it for yourself in Hoi An Ancient Town. Rest assured that you’re not alone if, at first glance, you find it surprising that a single company has managed to put together such an expansive range of compelling travel services. To fully comprehend how such a groundbreaking platform came to be, it is first useful to understand how years of hard work undertaken independently by Peter Burns and the Johnson brothers laid the groundwork necessary for both parties to capitalize on a chance meeting and integrate their respective platforms to form the comprehensive suite of services now on offer. Thomas and Lee Johnson founded HI-TEK Inc. 1995 with the intention of introducing technology that improves the lives of everyone around the globe. After losing their father during the Vietnam War, the brothers were adopted by Howard Johnson, an American civil engineer. Despite growing up in the United States, the brothers never forget their roots and longed to make a difference back in their country of birth. In 2000, the Johnson brothers brought their growing technology company to Vietnam and effectively pioneered internet adoption in the country, providing vital internet services such as domain registration, email, wireless bandwidth, and commercial data centers. As a result of their success in introducing advanced internet technology into the country, HI-TEK Inc. has developed a strong working relationship with the government of Vietnam and is now the most trusted internet travel company in the country, even garnering the exclusive right to represent the Vietnamese National Administration of Tourism worldwide. Meanwhile in the US, Peter J. Burns III was in the prime of his life as a “pureblood” serial start-up entrepreneur, pursuing seemingly dozens of entrepreneurial ventures at a time with his customary zeal, celebrating hits and bouncing back from tough times. One such hit came in the form of Avia Travel Services, a booking engine that offers discounted rates of up to 70% off online retail prices for over 1 million hotels and 150,000 daily flights. Always on the lookout for new opportunities, Burns quickly recognized the revolutionary potential of what the Johnson brothers were creating and found a way to leverage the success of Avia Travel Services and enter into an exciting partnership with HI-TEK Inc. to put the finishing touches on the travel.vn service ecosystem, which combines the impressive scope and cost savings of Avia Travel Services with the innovative technology and unique regional positioning of HI-TEK Inc. This article serves as the first in a three-part series designed to highlight the groundbreaking initiative in Vietnam and to tell the story of its founding. Please stay tuned for the second articles in the series, which will explore the details surrounding the fortuitous summer 2017 meeting between Thomas Johnson and Peter Burns that resulted in what Burns believes is the largest deal in which he has ever been involved. Then, the final article in the series will detail each of the services offered by HI-TEK Inc. and demonstrate how they can all be utilized together to experience tourism in a completely fresh and exciting way. In the meantime, whether you are planning your first international trip to Vietnam or are a Vietnamese national living abroad and looking to return home for Tet, you should first take a look at the various services offered by HI-TEK INC to discover the considerable savings available exclusively through their cutting edge travel ecosystem.